Home IT Services Marketing	Are You Reconnoitering on Your IT Services Marketing Competition? Is blogging for SEO purposes part of your IT services marketing plan? Blogging is an excellent way to offer quality content to your target audience, and it’s also a key component to getting ranked highly in Google searches. When starting a blogging strategy, many companies just jump in without doing much research. They may do some keyword research, but that’s where their efforts stop. 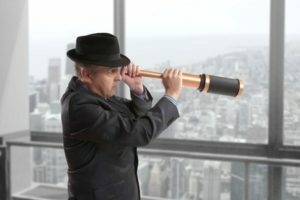 These companies are missing out on a valuable activity that could help them optimize their strategy and multiply their results: reconnoitering on their competition! If you don’t know what your competitors are doing, you’re blindly trying to compete with them. However, when you check out their strategy, you can acquire information that will help you blow them out of the water. Why try out your own IT services marketing strategies if you can take a look at what’s working for a company that’s already well into their blogging plan? Look at a few competitors and see which blogs are getting the most positive feedback and shares. You can also do a few searches for keywords you want to rank for and see who’s already experiencing search engine success. How much have they written using this keyword? Do you have a chance at surpassing them or should you focus on a different word instead? Although blogging initially seems like an easy strategy, once you get into the nuts and bolts of how SEO works, it can be a little overwhelming. As you’re looking at your competitors’ strategies, can you easily identify where there’s room for improvement? Can you incorporate this into your plan? Do you know how to measure if your strategy’s effective? If you struggle to answer these questions, you might benefit from outsourcing your blogging to a company that can do the research and put the plan in place for you. This takes the stress off your own marketing team’s shoulders and allows an expert to do what they do best. Blogging is an important part of your IT services marketing plan. By spying on your competitors and seeing what they’re doing right, where there’s room for improvement, and opportunities for you to surpass them, you can develop a plan that’s effective. If blogging is something you’d prefer to outsource, there are plenty of professionals who can help you put a successful plan in place.